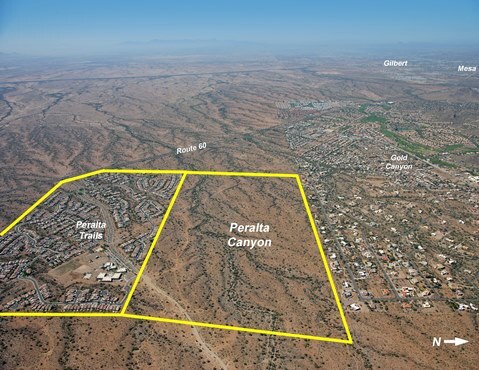 Peralta Canyon, Gold Canyon, AZ - Peralta Canyon comprises a 320-acre master planned community in Gold Canyon, Arizona planned for 752 lots. Gold Canyon is an affluent community which lies 41 miles east of the Phoenix central business district and 18 miles east of the new Phoenix-Mesa Gateway Airport, which offers service to 40 cities and served an estimated 1.2 million passengers in 2012. 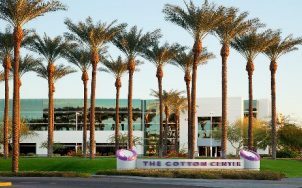 Gold Canyon is home to the 890-acre Superstition Mountain Resort, a Class-A development which includes two Jack Nicklaus Signature golf courses open to public play, a 50,000 square foot clubhouse, a sports club and spa, and home prices exceeding $1 million. Peralta Canyon, which boasts excellent views of the nearby Superstition Mountains, consists of the last significant privately-owned parcel of undeveloped land in Gold Canyon.